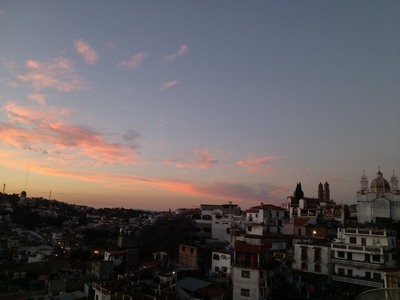 This entry was posted in Mexico, Picture This, Sunrise and tagged falling down the rabbit hole, Living in Mexico, Sunrise/Sunset, Taxco by The Adventures of Blue Bear. Bookmark the permalink. Weird the sun rises and sets in the same place. I’m going to think on that one for awhile… We enjoyed the blog on language eccentricities! Bret and I both like words. The only explanation I can offer for the sun setting in the east is that the sunlight streamed up the valley and lit the clouds from below. Glad you are enjoying the word play. I am too.